The plants and trees including the birds, the bees, the insects, the ants, the rodents, the squirrels, the fungi and micro-organisms are of infinite variety and diversity. They have specialties that are specific to the region in which they thrive. The diversity can be fascinating and complex. We can find that there are differences within the species of the same plant or animal when it is located at a different region. There can be differences between the species in relation to the ecosystems in which they are found. All these beautiful and varied plants and animals are the gifts of God. Each one is special and unique in its own way. It is the duty of humans to understand, love and preserve the biodiversity engineered by nature to the maximum extent possible. Kerala, with its rich flora and fauna, has very special plants and animals that can be found only predominantly in this region. The special climatic conditions, the nature of the soil and the availability of rains in plenty make this region special with immense biodiversity. With the growth of urbanization that has seeped even to the village level in Kerala, there has been a rapid erosion of the wetlands, the forest regions leading to the extreme pressure on many of the plants and trees of this region. It is our need of the hour to preserve the special plants and trees – all of which provide either seeds, barks, leaves or fruits or even roots that are beneficial for mankind, especially in the making of traditional and Ayurvedic medicines. 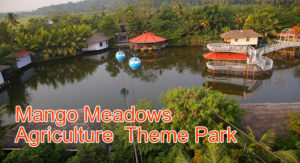 The Mango Meadows Agricultural Theme Park Kerala – a unique biodiversity park in Kerala located at Ayamkudy near Vaikom in Kottayam district of Kerala is a preserve of Kerala’s biodiversity. 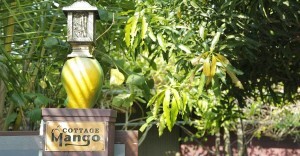 It is a sanctuary for nature enthusiasts who would like to walk around, discover the plants and trees and know everything there is to know about them. They can take a long six and a half kilometer walk through the park on tiled pathways and familiarize with thousands of known and rare plants and trees. There they will get to know 700 species of trees and over 4,800 varieties of plants. The fruit trees are of 174 varieties. This rich collection of trees and plants in one single spot is great for any nature enthusiast and a never miss one for families to visit along with children or to stay for a few days during the holidays.